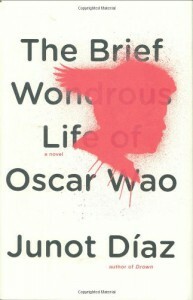 The Brief Wondrous Life of Oscar Wao - Junot Diaz - review - So.... Nicky? Pretty much all books, history, science, civil rights, anime, travel, or, you know, baby animals. In what is building into a series of wild word-joy novels of oppression, the bookclub I’m part of followed up THE HOUSE OF THE SPIRITS by Isabel Allende with THE BRIEF WONDROUS LIFE OF OSCAR WAO, by Junot Díaz. I read this book, with its geek-speak, footnotes, multiple somewhat-unreliable narrators and real-life magic in two days, and it was like a tornado had swept clean my brain and shook loose old thinking as well as many of my own memories (‘O mighty Isis!’ for one). Whew. "He seemed like the same to me. Still massive–Biggie Smalls minus the smalls–and still lost. Still writing ten, fifteen, twenty pages a day. Still obsessed with his fanboy madness. Do you know what sign fool put up on our dorm door? Speak, friend, and enter. In F***ing Elvish! (Please don’t ask me how I know this. Please.) When I saw that I said: De Leon, you gotta be kidding. Elvish? Actually, he coughed, it’s Sindarin. Actually, Melvin said, it’s gay-hay-hay." I can see how the writer might have wondered how to structure the story, with so much that is powerful in the past of the main story, but what he came up with works well. A long short story that ran in the New Yorker in 2000 shows how the structure changed over time. Some in my group weren’t fond of the footnotes, but it was an efficient way to get backstory on Trujillo and sidetracks into the book and yet not mar the breakneak flow of the story. I liked the notes, the way I liked the geek references, because they brought me back to the time I encountered them first (in this case of fun footnotes, in David Foster Wallace essays in the Atlantic). I do wonder, though, if this sort of page layout will translate onto an iPhone or eReader–will books with these sort of footnotes be among the last that really do need to be published? 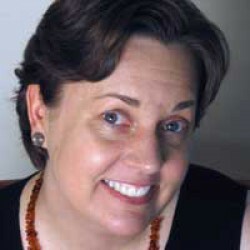 What is it with Dictator and Writers, anyway? Since before the infamous Caesar–Ovid war they’ve had beef. Like the Fantastic Four and Galactus, like the X–Men and the Brotherhood of Evil Mutants, like the Teen Titans and Deathstroke, Foreman and Ali, Morrison and Crouch, Sammy and Sergio, they seemed destined to be eternally linked in the Halls of Battle. Rushdie claims that tyrants and scribblers are natural antagonists, but I think that’s too simple; it lets writers off pretty easy. Dictators, in my opinion, just know competition when they see it. Same with writers. Like, after all, recognizes like.